Suggestions for my ultimate predator showdown before I make it? Making an ultimate predator showdown. Comment on here if you would like your supermassive real carnivorous dinosaur on here. I am using T. rex, Titanovenator, Acrocanthosaurus atokensis, Spinosaurus aegyptiacus, Spinosaurus morrocanus, Carcharodontosaurus saharicus, Carcharodontosaurus iguidensis, Giganotosaurus carolinii, and Saurophaganax maximus. Let me know if there are any others I should include. I will be making the battle two weeks from now so be quick about it if you want to see your favorite large carnivorous dinosaur duke it out with other biggies. 9 Responses to Suggestions for my ultimate predator showdown before I make it? How about a pack of Mapusaurus? That'd make things interesting as Mapusaurus rosae is extremely large and if they hunted in groups that'd make them really dangerous. I also have recently found out about a new species of Tyrannosaurus. It has been dubbed Tyrannosaurus imperator. With this only having a 16 year old to represent the species it is really large. Being 13 feet tall, 51 feet long and weighing a whopping 13 tons he may have a great advantage here. Should I add it? It was not 13ft tall 51ft long or 13 tons in weight; T.imperator is synonymous with T.rex. I looked into it and it is a distinct species. 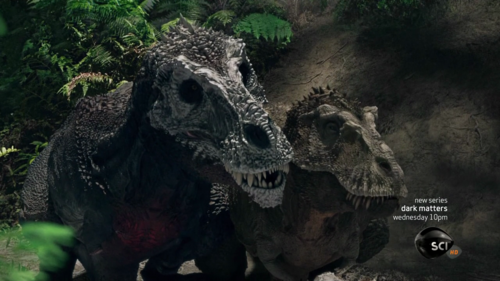 The differences in the skull make it more like an over sized Tarbosaurus than a T. Rex. ^No, the specimen to which you are referring is UCMP 118742, aka the Peck's Rex. The reason it used to be estimated at fifty-one feet long was because they were stupid and used the bones of a f*cking sauropod. So now it's downsized to 12.2 meters. Also, it's debatable whether S.morrocanus is the same genus as S.aegyptiacus or if it's an entirely new genus--Sigilmassasaurus brevicollis.